Without trying to be 100% complete, Tobago Today presents webpages for the larger villages / cities in Tobago. This aimed at providing information about the surroundings, events and - were needed - activities of clients. Much more than that, the idea was given to set up pages like these because of reactions on some pictures I posted on facebook. Just a few reactions in the group 'I Love Tobago' on facebook gave such a quick and huge response that I became curious why they were so popular. Looking at the reactions most were from people that have their roots in Tobago and who now live abroad. Especially their own 'home town' is what people are looking for. So, the idea was born to make some pages ordered by village. I hope that viewers will take their time to post extra information related to their villages on these pages. Can be pictures, but I also hope to get local stories about history of the villages, the people living in it and all kind of noteworthy things like the biggest fish caught, results of the local football team, local wildlife, recipes etc. Anything goes as long as it has any sort of a relation with 'your' village or Tobago in general. If you don't know how to post you can send me anything through mail (make sure I know which village is concerned) and i'll try to get your content online. If you are a viewer of this website and you have any additional information regarding your village or it's surroundings: Feel free to comment underneath the page of your village. If you have a whole story including pictures or other content : Use the post option ! If your village has no page as yet: Comment underneath this page and mention your village name and I will open a new page for you (or mail contents as mentioned above). Prior to the arrival of Europeans Tobago was most likely inhabited by Carib and/or Taino (Arawak) people (Native Americans). The Caribs, for whom the Caribbean is named, are believed to have migrated from the Orinoco River area in South America to settle in the Caribbean islands about 1200 AD. 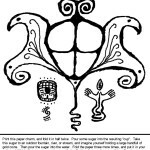 Over the century leading up to Columbus' arrival in the Caribbean archipelago in 1492, the Caribs mostly displaced the Maipurean-speaking Taínos, who settled the island chains earlier in history, by warfare, extermination and assimilation. 1498 Columbus sighted the island and called it Bellaforma, (The priest Bartolomeo de las Casas thought that Columbus called it Belaforma. Others said that its first name was Assumption, or Asuncion.) for almost 100 years there was no recorded history of Tobago. Did Columbus discover Tobago? Did he see it at all? This is in serious doubt. It is more than likely that it was stumbled upon by Amerigo Vespucci several years later. 1580 British seamen visited the island and reported that it was uninhabited. 1628 Charles I, King of England granted Tobago to Phillip, Earl of Montgomery, who later became Earl of Pembroke. 1629 Jan De Moor, Burgomaster of Flushing sent an expedition of Dutchmen, who made a settlement called New Walcheren, (probably Plymouth). Disease and Indians wiped it out. 1636 Dutch settlers attacked by Spaniards from Trinidad. Cornelis, Jan De Moor's son was captured and the settlers driven out. 1637 English Puritans from Barbados attempted to settle, most of them were killed by Puritans, those who managed to escape sailed away to Providence Island, Bahamas. 1637 First try of the Courlanders to settle with 212 settlers which fails. 1642 James, Duke of Courland sent another expedition. A settlement was made at Courland bay. Later in the same year the Earl of Warwick made another settlement. Tobacco and indigo were planted. Indians again routed the settlers, the few who managed to escape went to Surinam (Dutch Guiana). 1654 Third attempt to settle the island made by the Duke of Courland, On May 20, 1654, the ship Das Wappen der Herzogin von Kurland ("The Arms of the Duchess of Courland") arrived carrying 45 cannon, 25 officers, 124 Courlander soldiers and 80 families of colonists to occupy Tobago. In this year Adrien and Cornelis Lampsins arrived from Holland. They attempted a settlement in another part of the Island (Lampsinsburg named after the two Dutch brothers who founded it, which is now Scarborough). This led to a dispute between the Courlanders and Dutch settlers. The matter was reported to the States General in Europe, who supported the Courlanders against the Dutch. Duke James then became the undisputed master of the island. However he was seized in Europe by the King of Sweden and taken to Riga. Dutch planters who were still in Tobago surrounded the Courlanders who surrendered to them. 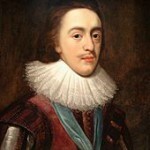 1662 James, Duke of Courland released. Dutch settlers now obtained a grant of Tobago from Louis XIV, of France. The French West India Company surrendered their rights and the French created the Lampsins Barons of Tobago. 1664 Charles II of England, regranted Tobago to the Duke of Courland, who at this time did not attempt another settlement. 1666 A legend has grown that Tobago was the scene of a remarkable sea battle which took place in 1666, when the British admiral Sir John Harman encountered the combined fleets of France and Holland which had rendezvoused off a bay then called Anse Erasme or Rash House Bay, now known as Bloody Bay on the north-west or leeward side of the island. It is said that the British defeated them with such great slaughter that the sea ran red in the golden sunset, the cannon booming into the night. Today, giant immortelle trees bloom a brilliant scarlet on the mountains above Bloody Bay. The bloody battle might have been one that took place in Barbados, but has been so assimilated into Tobago history that it is now ‘remembered’ as having taken place in Bloody Bay and been absorbed into the recall of other battles fought there. 1676 The Dutch began another settlement with a large number of negroes captured from the French in Cayenne and Marie Galante. 1677 In March the Dutch Admiral, Binckes defeated the French Fleet in Roodklyp Bay (Rockly Bay). Towards the end of the year the French returned, captured the Dutch Governor, destroyed the settlement then abandoned the island. Admiral Binckes was killed in this battle. 1681 Duke of Courland again attempted to settle in the Island. He granted a title to some London Merchants headed by Captain John Poyntz. When all arrangements had been made the Privy Council in London help up sailing pending negotiations for a Treaty. 1685 French Code Noir is introduced (red:and followed by other countries ? 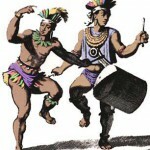 ), amongst others a set of harsh Laws against African dance and drumming assemblies. After that those assemblies were used for the staging grounds for revolt and rebellion. 1687 In spite of the fact that the British Government had declared that the grant made to the Duke of Courland was null and void; he made further attempts to settle the Island. At about the same time English and French Companies tried to establish themselves. 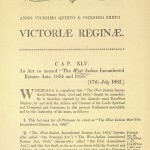 1699 Courland's grant again declared null and void by the British Government, at the same time the right of the British Crown to Tobago and St. Lucia was affirmed. 1702 Petitions from Captain Poyntz and other made to the British Crown praying to be allowed to settle Tobago were refused. 1704 Further petitions refused, the Island then became no-man's-land. 1705 A French Squadron used Tobago as a base for attacking English West Indian islands. 1714 Ayris, called the Paramount Indian Chief sent from Barbados to Tobago, where he was called the Governor. In 1715 he appealed to the English Governor of Barbados for protection against rebellious negroes. He was assured of British protection. British claimed sovereignty against the French. 1721 The Governor of Barbados authorized to make grants of land in Tobago for the cultivation of cacao, indigo, etc., but no sugar for this would be against the interests of Barbados. 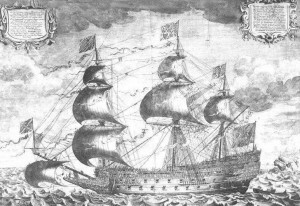 1721 H.M.S Winchelsea captured Captain Finn with a party of pirates on the Island, which was now a Pirate's Nest (see post from Caribbean History which dates this event at 1723, and names the captain Fenn who partnered with captain Anstis). 1725 The Government of Barbados reported that the French were still claiming Tobago. 1725 British Government authorized the Governor of Barbados to maintain England's right but to avoid a clash with the French. 1731 Ferdinand, Duke of Courland supported by the King of Poland tried to regain Tobago. In the same year he offered to sell Tobago to the Swedes, but the Swedish Ambassador in England when he made enquiries regarding Courland's rights to the Island was told that Courland had no rights and at the same time wanted the King of Sweden to stay away from Tobago. 1733 Swedes attempted a settlement, they landed 25 families and slaves, they were driven out by the Indians. 1748 Marquis de Caylus, French Governor of Martinique, attempted a settlement, landed Troops and built a fort. The British remonstrated to the French Government who disowned the Marquis's act. English and French Governments agreed to declare the Island neutral, subjects to both nations left the Island the Fort was destroyed. 1756 Start of the Seven Years' War which lasted till 1763. 1757 Even though Tobago was declared neutral in this period Captain Thompson of HMS Sterling Castle landed at Tobago 'to look for wild oranges' and found a french speaking hermit who was a former priest from Martinico. When offered a return trip to Europe the hermit who claimed to live their for 21 years alone refused. So in a way long-term eco-tourism started around 1736 in Tobago :). source: Chronicle History of the West Indies. 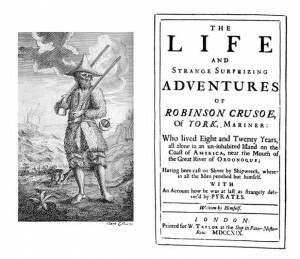 This is not counting Robinson Crusoe as a tourist since he shipwrecked. 1762 English captured Tobago, it was ceded to Britain by the Treaty of Paris in 1763. 1764 T. Alexander Brown was appointed Lt. Governor (list of all Governors) in November, the only inhabitants were a few Indians and French Turtlers, there was much valuable land available. In December General Robert Melvill was appointed Governor General of Grenada, Tobago, St. Vincent and Dominica, he resided in Grenada.Land Sales Proclamation issued. First record of land was to James Simpson, Lot 1., 500 acres at Courland Bay. 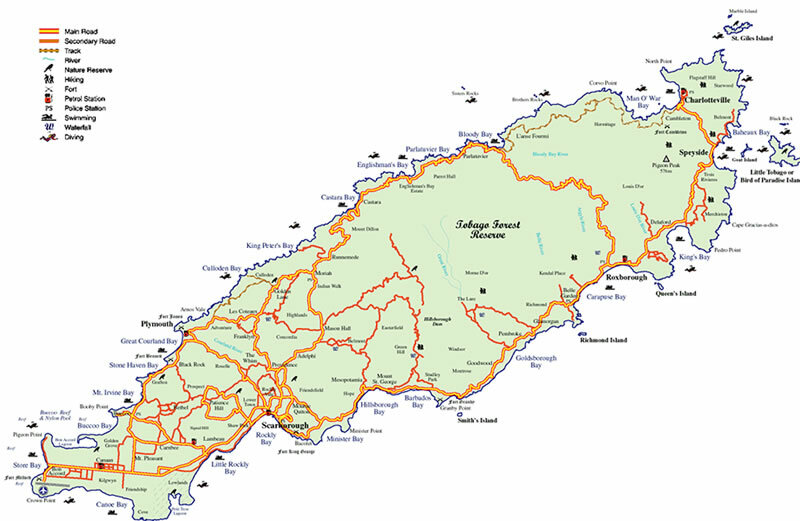 At this time Tobago was divided into Parishes. 1766 In April the First Session of the Legislative Council and Assembly was held at Georgetown, Barbados (Studley Park), where the first town was established but never finished. 1769 Seat of the Government removed to Scarborough, which was considered to be more suitable place. A house at Orange Hill was issued as the residence of the Lt. Governor. 1770 Insurrection of slaves at Queen's Bay. An enslaved person called Sandy along with six others attacked a military post in November of 1770. First attacking Courland Estate then the rebellion spread to other estates including Mt. Irvine and Riseland and continued for six weeks. This was as a result of the laborious work inflicted upon the enslaved by two Barbadian overseers ‘wanton in the exercise of every injury and insult to the poor slaves’. First shipment of sugar from Tobago left from Gednet Clarke's Estate, in St. Mary's Parish ( Studley Park). Population 209 white men, 3090 negroes. Land cleared 5,084 acres, granted 24,999 acres. In this year John Paul, who later changed his name to Jones, visited Tobago, where he was brought before the Court of Vice-Admiralty and charged with ill-treating his ship's carpenter. 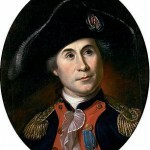 (John Paul Jones was born in Scotland in 1747, his father was a gardener. He died in poverty in Paris and was buried there).He is regarded as the founder of the U.S Navy. His Mast Head is said to have been the first to have flown the "Stars and Stripes"
1771 Two insurrections of slaves both put down by the Militia. 1774 Another insurrection of slaves. (Tobago) House of Assembly and Legislative Council call fore more troops into Tobago to ease the economic crisis. 1775 Cultivation of sugar cane abandoned on account of devastation by millions of ants. Cotton was planted in its place. Population about 2,300 whites, 1,050 free people of colour, 10,800 slaves. 1776 The Tobago Main Ridge Forest Reserve was established on April 13th, 1776 by an ordinance which states in part, that the reserve is "for the purpose of attracting frequent showers of rain upon which the fertility of lands in these climates doth entirely depend." This makes it the first protected forest in the world. 1777 Lt. Governor Major William Young, killed in a duel with P. Franklyn. American Privateers (list) raided Tobago, they came in armed boats and got away with whatever they could get. 1778 An American Squadron tried to capture Tobago but was driven off by the H.M.S Yarmouth. It was at about this time that guns were mounted on estates for their protection, which may account for the number still to be found on the island, the people raised money for them to defend themselves. 1779 Grenada captured by the French. British Governor General taken prisoner. 1780 Population 11,087. Exports cotton 2,619,00 lbs., Indigo 27,000 lbs. 1781 The first clergyman of the Established Church began his work in Tobago. Church Registers kept from this date. 1781 In June the French captured Tobago. Lt. Governor Ferguson taken prisoner. 1782 Cotton Hill (French Fort) fortified. French Government ordered all proprietors to produce titles to their lands within a month. 1783 Tobago ceded to the French by the Treaty of Versailles (Paris). Philbert de Blanchard appointed Governor by the French. 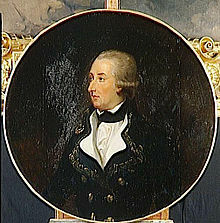 1784 Arthur Count Dillan, an Irishman appointed Governor by the French. 1785 Planters unable to produce title deeds. Crown lands to be sold only to those of French nationality. King of France demanded annual free gift from the Island. 336 persons who formerly swore allegiance to Britain now swore fealty to France, hoping thus to retain their lands. 1787 Scarborough renamed Port Louis, the Fort on Scarborough Hill called Fort Castries. 1789/90 First Moravian Mission established. 1790 Mutiny of French troops, Scarborough destroyed by fire. 1790 In August a hurricane passed over the Islands causing considerable damage. 1793 On April 15th Tobago captured by the British. The island then became a separate Government with he own Governor, a Legislative Council appointed by the British Crown and a representative House termed the General Assembly. 1795 Corps of Black Jaegers formed made up of 100 trusted slaves under white officers for internal protection. Proclamation requiring all male inhabitants to take oath of allegiance to the British Crown, almost all the French inhabitants refused, they were then regarded as prisoners of war. 1798 Sugar cane again in cultivation, cotton and indigo cultivation not considered so important. At this time negroes were allowed to trade freely, a great number were thus able to buy their freedom. 1799 Both houses of the Tobago Parliament prepared a remarkable report on the amelioration of African slavery in the colonies, with credit being given to Tobago. Dec: 1800 Grave shortage of imported food. Island's crops failed, causing widespread alarm. People unable to feed themselves or their slaves. No Christmas supplies available. 1801 Threatened insurrection of slaves averted by the prompt action of Brigadier General H. L. Carmichael, who on hearing of the plot seized 30 ringleaders. One he hanged on the signal staff at Fort King George, the body was lowered and raised 29 times. This put an end to all ideas of insurrection. Discovery of elaborate plans for a slave revolt, Christmas night. Revisiting the Act of 1776, with respect to the Marital Laws. 200 slaves arrested. Estates involved; Bacolet, Belvedere, Cove, Friendship, Friendsfield, Hope, Mesopotomia. 1802 By the Treaty of Amiens, Tobago was surrendered to the French. General Sahuguet was appointed Governor. It was during his term in office that the Council and General Assembly voted unanimously in favour of Boneparte being elected for Consul for life. It was also decided that the Constitution and laws should not be changed. 1803 British troops landed at Arnos Vale, marched to Mount Grace (which is now absorbed in Scarborough), from there they were shown the way to the Fort by a slave from the Whim estate, called George Winchester, who was rewarded by being given his freedom and £30 to set himself up in business. The French surrendered without resistance. On June 30th the Articles of Capitulation were signed at Providence House. In July the Proclamation was issued allowing imported provisions and other goods to be brought in to Tobago in American vessels. 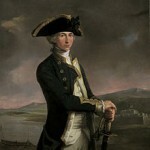 1805 Short before his death Nelson is in Caribbean water looking for the French Fleet. He anchored in Courland Bay where he remained overnight. Plans for defence of the Island were drawn up. Christmas plot to be in agitation by the slaves to destroy the white inhabitants of the colony. Resulting from the Act of 1801 and the infringement of rights to both slaves and freed Africans. Insurrection began on many estates in Tobago. 1807 Abolition of the Slave Trade in all British Dominions. At the time there were 15,000 slaves in Tobago. Joseph Robley’s Estate a gang at Cove turned into a riot that tried to pass through Scarborough. 42 arrested and jailed. 1812 An Indian, called Louis with his family of 20 persons were the only remaining settlers on the North Coast. 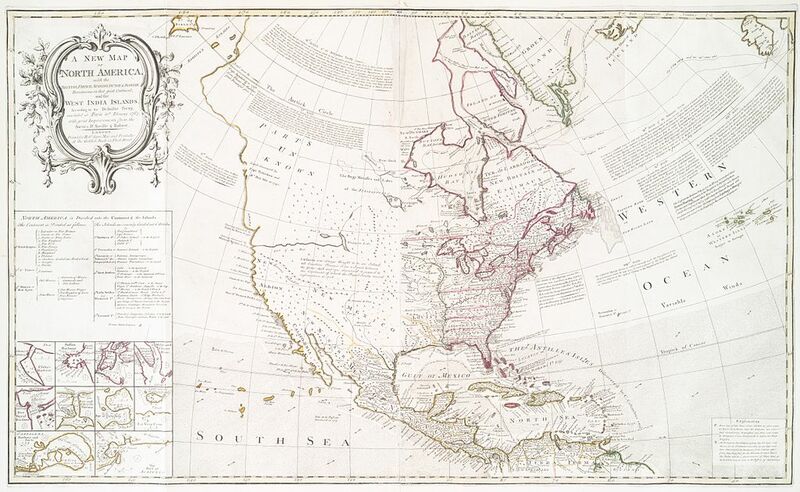 1814 By the Treaty of Ghent the War between Great Britain and the United States came to an end. Tobago ceded to Great Britain by 1st Treaty of Paris. This was the last time time out of 33 times that Tobago changed hands (which is a record amount in Caribbean history). 1816 Act passed for the building of St. Andrew's Protestant Church, Scarborough. The Market Place in Scarborough required for public purposes, all buildings removed. 1818 Society of Weslyans established a Mission. Spotted Deer introduced from the Spanish Main. 1819 St. Andrew's Church Scarborough consecrated by the Rector, the Rev. W. S. Wilson. 1820 Marital law lifted and military activity slackened in Tobago. 1821 Foundation Stone of Court House and Public Office laid at the market Place. This building was considered to be one of the best examples of Georgian Architecture in the West Indies. Recently alterations have been made which have ruined the character of the building which has lost most of its original characteristics. 1822 Scarborough declared a Free Port. Agriculture in a poor state. 1826 New Wesleyan Chapel opened in Scarborough. 1828 New Government House at Mt. William commended. 1833 Tobago ceased to form a separate Government and became part of the Windward Islands with Governor General at Barbados and a Lt. Governor in Tobago. Agricultural Society formed in this year. 1834 Emancipation of Slaves. The apprentice system under which slaves were bound to their former masters for 4 to 6 years according as they were praedial or non-praedial came into force. All children under 6 years of age unconditionally free. Slavery persisted in Islands which were not Bristish for a long time. In French and Danish colonies until 1848, Dutch 1863, Puerto Rico – Spanish 1873, Cuba 1886. The transition period passed peacefully in Tobago. 1834 Scotch Presbyterian Church. Provision made for a clergyman of the Church of Scotland. Majority of white population Scottish. Meadals presented by the Agricultural Society to persons voted to have produced the best sugar. 1835/36 Schools erected and opened. 1836 Permission granted to apprentices to hold revels and dancings late into the night. 1837 Court House at the disposal of Presbyterian Church for Sunday service whilst church is being built. 1838 Unconditional freedom granted to all who had been made apprentices after the abolition of slavery. Many left the land and became fishermen. There was discontent and a shortage of labour, labourers were not disposed to take possession of unoccupied land and would not allow their children to cultivate the soil, this caused many estates to go out of cultivation. Education considered necessary and schools were opened. British West Indian immigration starts (mainly to Trinidad). 1840 Branch of W.I Bank opened in Scarborough. 1841 Royal Mail Steam Packet Co. began calling at Tobago. 1843 Light House erected at Bacolet Point. During the period of Apprenticeship few marriages took place, now frequent and an occasion of festivity. The return of the wedding ring to the clergyman (divorce) very rare. Education tending to diminish the practice of Obeah. 1843 In an effort to improve agriculture, Mr. Cruickshank of Prospect Estate introduced the MetayerSystem, this was a profit sharing system. 1845 It was adopted throughout the colony. later was modified and applied to cacao as well as sugar production. 1851 Population 14,378. In this year 292 liberated Africans sent free of expenses from St Helena by the British Government to settle in Tobago. 1854 British troops withdrawn from fort king George, the Islanders left to make their own arrangements for defence and the preservation of law and order. However the British Government promised to keep a vessel of war within call in case it should be required. 1854 Police Force augmented and armed Volunteer Corps established. Plot to destroy Scarborough discovered. It was promoted by immigrant negroes from Barbados. 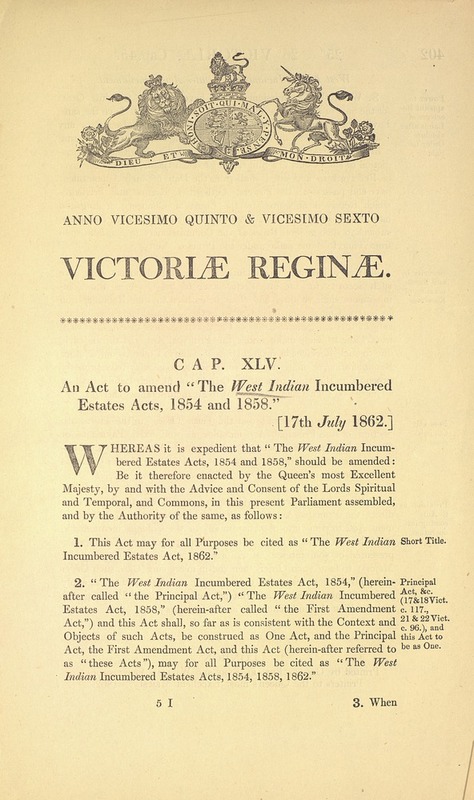 1858 Tobago adapted the Encumbered Estates Act of 1854. Commissioners were appointed in London to with applications for the sale of land could be made either by creditor or owner. Expenses reduced from the proceeds of the sale, an equitable distribution of the surplus was made to all creditors when completed. An entirely new grant, hereafter, unassailable was issued to the property. Legal expenses obviated , higher prices for estates than otherwise could have been possible. Estate passed to those with capital to work them or who were prepared to sell in small lots. 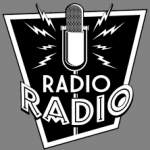 1871 Franchise extended to £5, to holders of property. 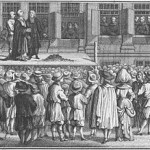 1872 Concurrent Endowment Act passed by which the Church of England ceased to be the established Church of the Colony.Annual grants of money made to Anglican Church, United Brethren (Moravians) and Wesleyans. 1877 Under a new Constitution Act, Tobago was administered as a Crown Colony and the elective principle abolished. last meeting of the Privy Council held in December. 1880 British Government ceases to provide salary for a Lt. Governor. The offices of Administrator and Colonial Secretary combined. Population 18051. Exports: Sugar 65467 cwt. Rum 26050 gals. Molasses 7780cwt. 1882 Labour very scarce, there were 32 distilleries but only 17 working. 1883 Tobago had no public debt. Agriculture Society held its first show, the opening day was declared a public holiday. At this time two thirds of the Island was covered with forest. Royal Commission (Crossman Commission) arrived from London, they were sent to the West Indies to enquire into conditions in Tobago and the other islands. 1884 News was received that the Firm Messrs. A.M Gillespie & Co., in London, had stopped payment. For many years this firm had carried on business in Tobago as Commission Merchants and Ship Owners. Year by year their connection had grown close and extended, they became estate owners and consignees. 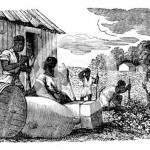 At the time of this crisis they virtually had the monopoly of agriculture and shipping interest, owning about four fifths of the sugar estates. It was from them that estates obtained advances to pay labour during the year until sugar had been shipped. This brought about the financial collapse of Tobago. There was no other industry to take the place of sugar. Estates were sold, prices were attractive, 10/- per acre. Peasants took advantage of this, which left little labour for estates. 1885 The Commission that Grenada, St Vincent, St Lucia and Tobago be made into one colony, if acceptable to the majority of the inhabitants. This met with much opposition so the matter was dropped. Later in the year Barbados was made a separate colony and the other islands became the Windward Group with a Governor in Grenada. 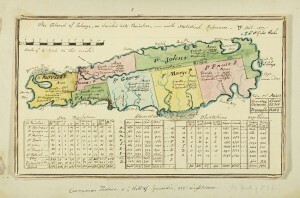 Each island retained its Legislature presided over by a Resident Administrator. Establishment of a Botanic Station proposed, it was established about 1899. 1885 Sugar crisis in the West Indies. Tobago in a state of depression due to lack of cultivation of the soil, capital, immigrant labour. Modern methods necessary for advancement and development. 1885 Indentured laborers began to arrive in Trinidad (not so much in Tobago) They were migrants from Bengal, Bombay, Madras, Punjab and other provinces, and were comprised of both Muslims and Hindus. Later Chinese and Portuguese as well as Syrian and Lebanese migrants made their way to the island. 1921 First motor bus plied route between Scarborough and Roxborough. 1963 At 12:40 hours on 30 September 1963, Hurricane Flora, with winds of 90 to 100 miles per hour and gusts even stronger at an estimated 120 miles per hour, swept in from the Atlantic onto the island of Tobago's eastern shores. Many hurricanes had struck the islands to the north - an annual occurance - Tobago was not expecting it so the population was only given two hours warning prior to the advent of the storm, very little notice and though some hurried preparations were undertaken, it could not be sufficient to avoid the destruction that was to be so immense. 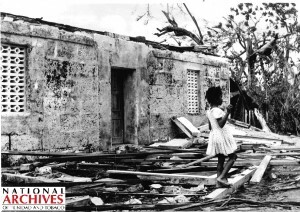 In many instances entire villages were destroyed and sixty percent of the island's houses were demolished. Twenty-four lives were lost and 31 people were seriously injured. The economic infrastructure of Tobago suffered a similar fate; crop and property damage was estimated at around $30,000,000. To make matters worse, Tobago's economic base, composed primarily of plantation-grown cash crops, never recovered. This put many families out of work. Follow Erik Gademan's board tobago on Pinterest.